Basic economics – and decency – fall by the wayside in the administration’s pitch that it can create $2 trln of revenue by cutting $3.6 trln of costs. OPEC and U.S. fields battle for oil supremacy. Zimbabwe invents the zollar. And Bill Ford escapes his CEO’s crash unscathed. 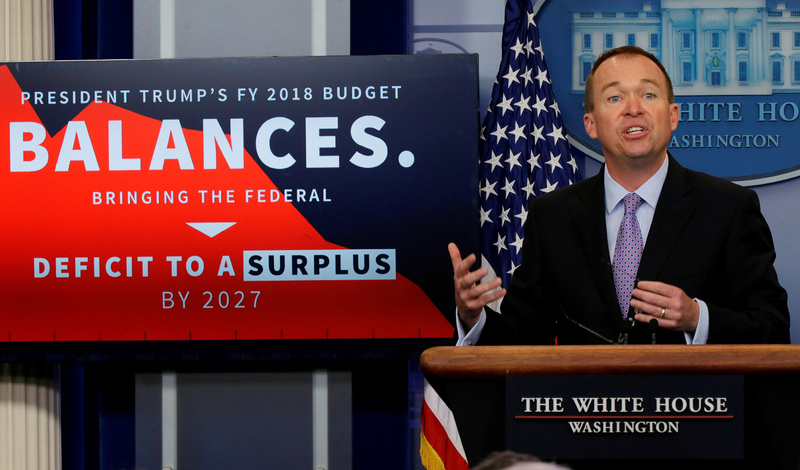 Office of Management and Budget Director Mick Mulvaney holds a briefing on President Trump's FY2018 proposed budget in the press briefing room at the White House in Washington, U.S., May 23, 2017.